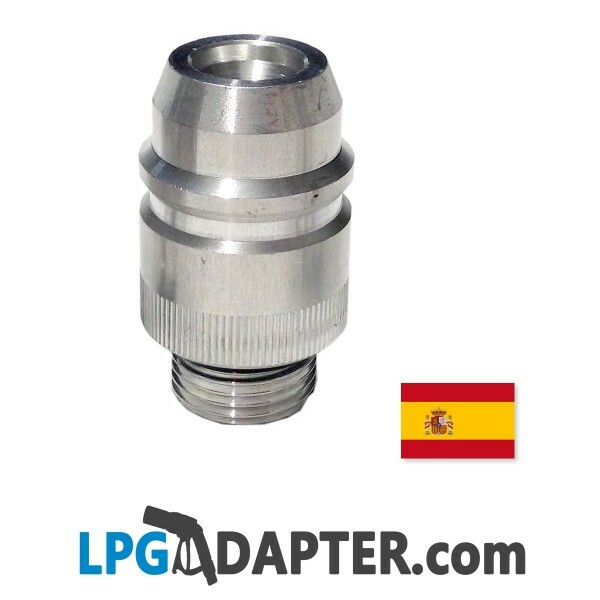 Allows UK, Danish, Dutch, Norwegian bayonet type autogas filling point to refill using Euro nozzle autogas pump in Spain. Going abroad? If your car has a UK type LPG Bayonet filler you will need this to refill in Spain. 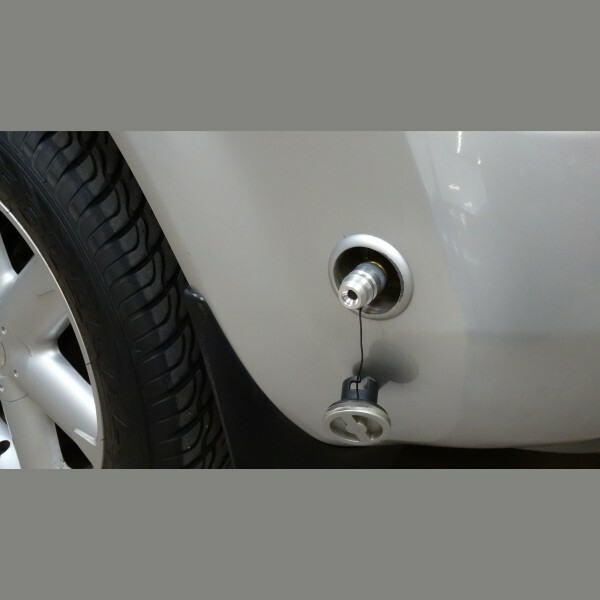 This Bayonet UK W21.8 to Euro Connector LPG Adapter is simple to use can help you to drive economically and save money on fuel when travelling in Europe..